This photo had great information on it as you can see from the caption. A name, a place and a relative – you can’t ask for much more than that! With so much data, D. C. was easy to find in the record books of history. This is David C. Beaver, son of Abraham and Matilda Beaver. 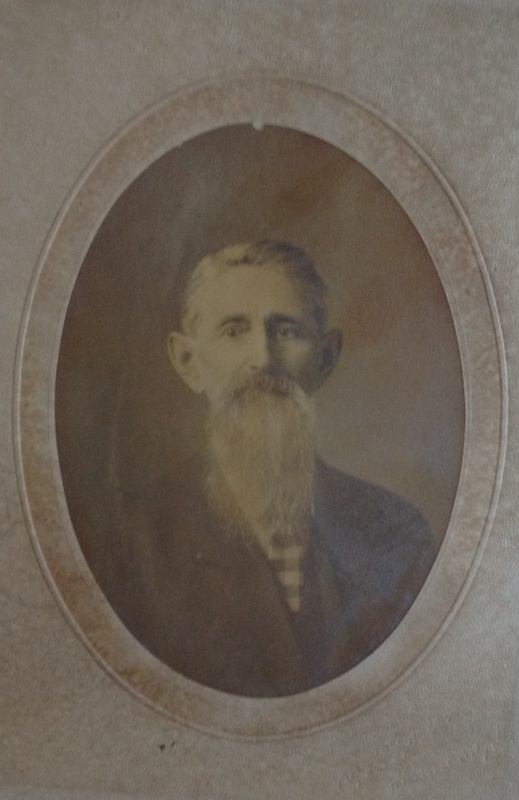 Born in Illinois in 1837. His wife was Tabitha. They lived in Kinmundy, IL for many years, specifically in the 1880, 1910, and 1920 censuses. Children included Anna, Frank William (this may have been Billy), Kitty Bell (love the name! ), Freddy, Charley, and Mary. Welcome Mr. Beaver, I hope you find some descendants! Hi, thanks to Jodibash at ancestry.com for telling me about this photo. David is my 1st cousin 5x times removed on my father’s side of the family. How fun! So glad he found a home! Good luck in your genealogy research. Thanks for the update Janice! I appreciate the corrected information.